Treasure Coast Sealing is a locally owned and operated company. We believe that we offer a valuable service to our community. We have over 30 years combined experience. Our crews range in size from 3-5 experienced members. The foundation our business is built on is creating solid customer relationships. We realize those that we have built over the years are priceless. Our clients know that when they pick the phone up and call us they are getting an experienced full service asphalt company. Service is our number one priority. We do what we can to provide a convenient experience for our customers. 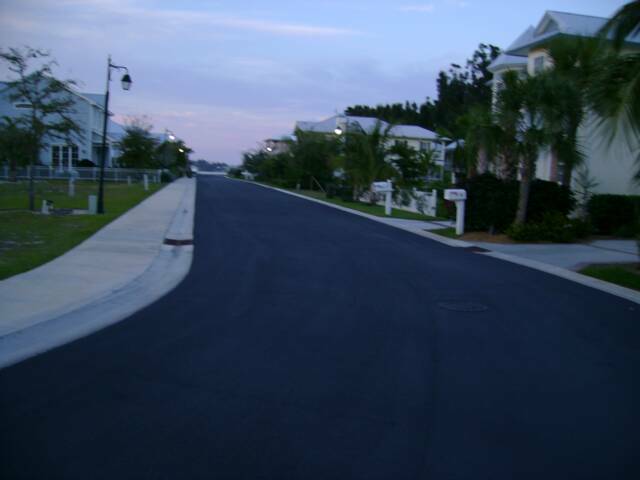 We understand that maintaining your asphalt isn't a "walk in the park". We can work at all hours to accommodate you and your tenants needs. We work with H.O.A. 'S , Property Management Companies, Commercial Property Owners and Major Corporations. We have done a variety of projects for many types of clients, so we understand that each of our customers have different needs.